Abstract: The lower-extremity is referred to the leg of a human. Highest number of fractures are reported in this part of the human body. The correct modeling of the lower-extremity is essential for the development of reliable implants. Ou research focuses on the critical role played by the boundary and loading conditions, muscles' forces and the uncertainty associated with subject-specific modeling. Abstract: A novel non-contact electromechanical intra-medullary skeletal distractor that is able to provide shortnening as well as elongating motion is being developed. Support: This project was supported under the SAN-TEZ framework between 2009-2012. Abstract: The objective of the invention is to provide a spinal operation table that can decrease pressure-related complications by leaving the abdominal area free of contacts. The table is designed to be connected to most standard operation tables, and to accommodate different body sizes and shapes. The main material is transparent to radio and x-rays and thus enables one to apply these procedures during operation. The table is equipped with pads that can be accorded with the position of the patient, by moving in 5 different axes. Finally, the table is designed to accommodate other apparatuses (arm rest, head rest, etc.) 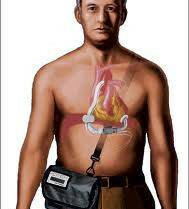 that help position the patient. Stress analyses and simulations are performed, production drawings are prepared. National and international patents are pending. Partner: Yeditepe University Hospital, Department of Neurosurgery. ﻿Bottom left picture: ﻿II. Global Entrepreneurship Summit, 2011, Istanbul, Turkey. 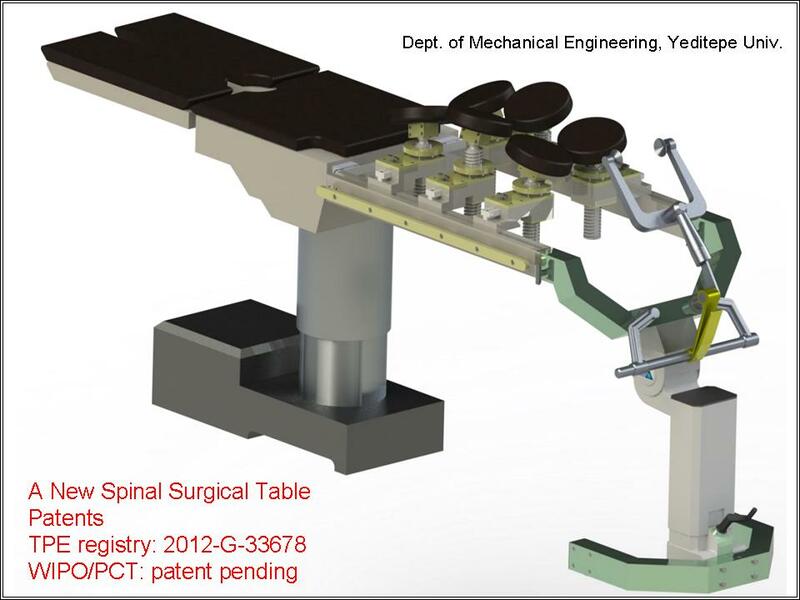 Participation by the design team of the spinal surgery table. This was a commemorative photo near closing, including the U.S. Vice President Joe Biden, the turkish ministers Suat Kilic and Ali Babacan, and two of our team members. Abstract: The objective of this project was to design a left-ventricular assist device that would provide patients with a reliable and more comfortable life as well as help reduce the financial burdens associated with such treatments.